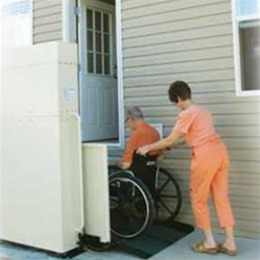 Compact footprint improves access to raised entries, porches or short decks. Highlander RPLs feature a top-mounted motor and electrical box to simplify servicing and protect from standing water. •	Rated load: 600 lbs.